Posted on Sunday, January 28, 2018 Monday, October 15, 2018 by GaryPosted in NewsTagged Aquaman, Batgirl, Changeling, Deathstroke, Despero, Flash (Barry Allen), Gypsy, Harley Quinn, Justice League, Justice League Task Force, Lex Luthor, Martian Manhunter, Raven, Ray (Ray Terrill), Robin (Damien Wayne), Scandal Savage, Sinestro, Starro, Triumph. Next Next post: Who Were The Mightiest DC Heroes In 1977? You do? You own the entire run? Well somebody has to love them I guess, ha ha. Yeah, not feeling this at all. While it’s a cute, short-term gimmick (emphasis on short-term) I just don’t get how these teams could reasonably take out this menace when the Big 7 used to that sort of thing all the time. But then I guess that’s the point; the League’s approach to these things has to evolve and change. 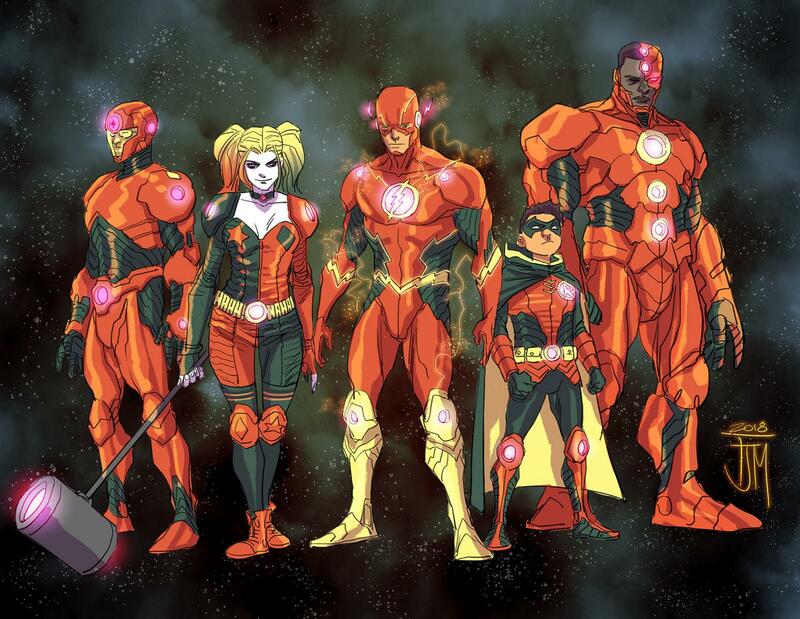 Yes, this does definitely look like an homage to not only the multiple JL teams from 2001, but also feels like an homage of sorts to Cosmic Odyssey and unusual teams Starlin made up there. 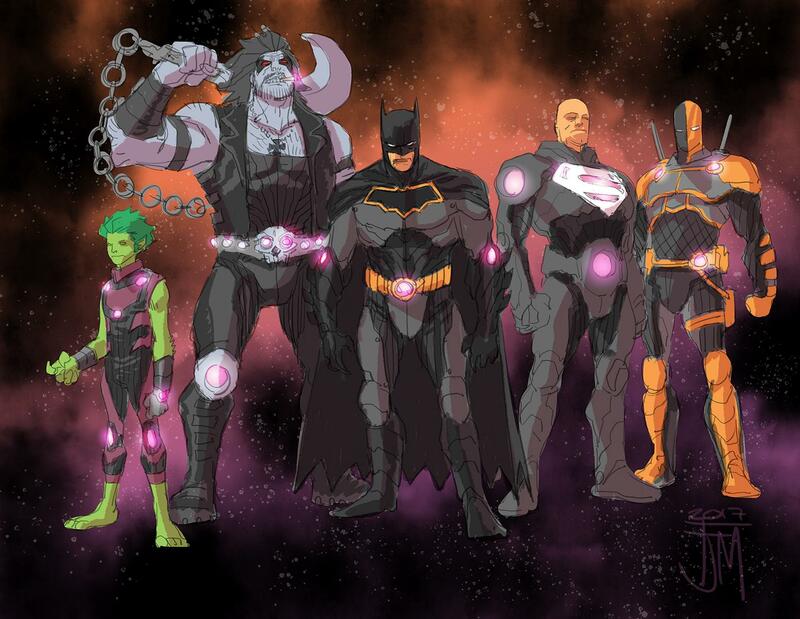 I’ll agree with you on having more chicks in the group, why they chose Starro I don’t know. You’d have to assume there’s a reason that will be revealed later as to why those particular characters were put on those teams other than they were pet favorites. Hell, no Captain Comet or Adam Strange? 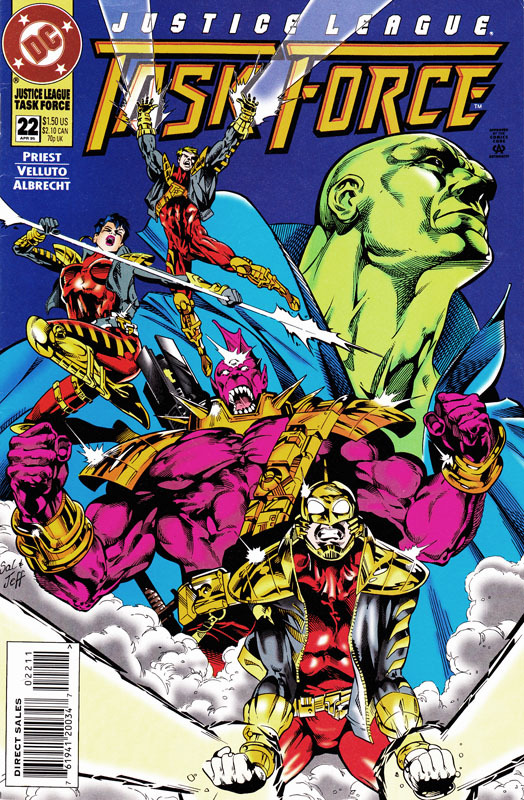 Really all of the teams do promise some intrigue through the unique members and personality clashes, especially Batman and Superman’s team. I suspect Harley only made the list because she’s popular, so she’s the Wolverine popular pick I guess. Hey, I said I own a complete run of Task Force – I didn’t say I loved them! You’re right about Harley; it used to be that Batman was the go to guest star, but these days if you want to bump sales up, just have Harley Quinn call over. When I first heard about the teams I was a little apprehensive, then I thought they would be made out of the League and a couple villains, boy was I wrong. Starro… really? 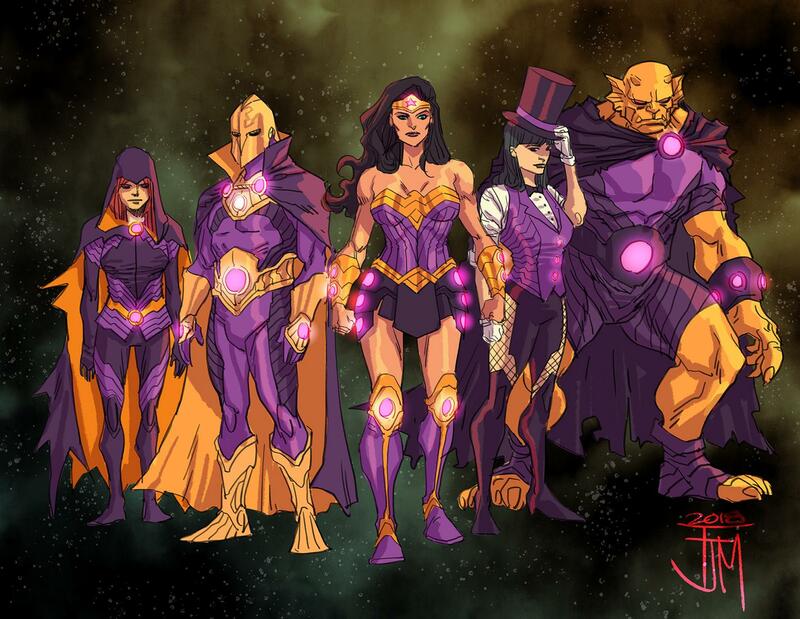 They could’ve used so many better villains than Starro. Toss some more women in, toss in Miss Martian on JLAliens! 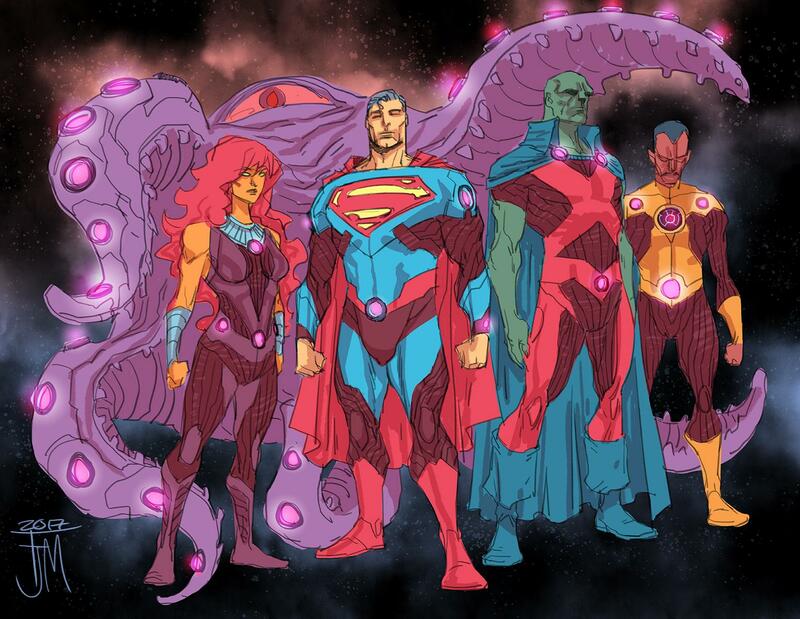 Miss Martian is a great call – J’onn and M’gann on the same team would be great. Who knows, Starro could be the break out character on the team – Snyder could really reveal his hitherto unknown wacky sense of humour!